There is no point in repeating that Combell’s employees are real pros, who are highly regarded in their field of expertise. The numerous appreciative comments left by Combell’s customers, which you can find on all the pages on the Combell website, speak for themselves. And some of this expertise is brought to you by Combell collaborator Brecht Ryckaert, expert in WordPress, who only just published a book about WordPress security through Amazon. 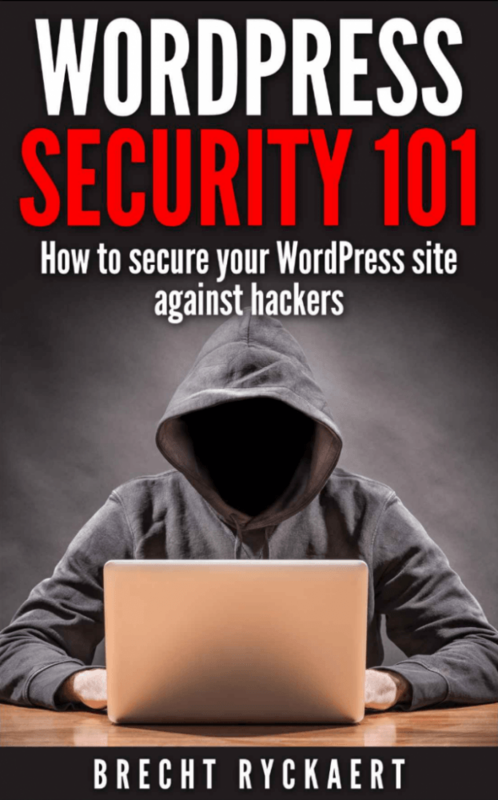 The e-book, titled “WordPress Security 101 - How to secure your WordPress site against hackers” is aimed at those who have a WordPress website. WordPress is by far the most popular Content Management System available on the Internet; it is used by more than 60 million websites. Unfortunately, this also means that the CMS has become a prime target for hackers. This book wants to arm the millions of administrators of WordPress websites to deal with such enemies. It will teach you to develop efficient means of defence for your website, to counter brute forcing attacks, cross-site tracing attacks, code injections, XML-RPC attacks, etc. And, in the unfortunate event that your website gets hacked anyway, the book teaches you how to react correctly – how you can find malicious content included in your site code, and what measures you must take in order to avoid further attacks. The great thing with this book is that it is not like a “snapshot”. Malware and hackers constantly evolve over time, and up-to-date information about the latest hacking tools is thus a must. The e-book is regularly updated with new information when new security techniques are required. We congratulate the author, Brecht Ryckaert, with his first book. We at Combell are really proud that he is part of our team! The book is available through Amazon. Those who have a Kindle Unlimited account can download the book for free; the others will have to pay $4.83. 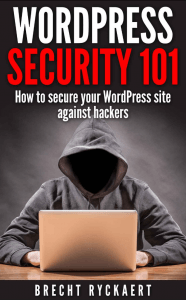 However, we have a nice surprise for the readers of this blog who want to purchase the book: the first ten readers who will tweet “Yes, I’d like to get a copy of that book by Brecht Ryckaert about WordPress security! #combell https://www.combell.com/en/blog/2014/12/09/e-book-by-brecht-ryckaert-tells-you-everything-about-wordpress-security/” will receive the e-book as a gift from us! Will your domain name soon be the equivalent of your registered head office?